All aspects of your property merit professional care and this is particularly important in the area of residential letting. Bennett Jones Partnership have a tradition of offering a personal service and our fully dedicated team is here to help you through every step of the letting process to make the journey as smooth as possible. Bennett Jones are able to offer two levels of service to our landlords depending on which best suits their requirements. We can offer a Let Only service for landlords who simply need us to find the right tenant or alternatively a Fully Comprehensive Managed service whereby we deal with rent collection and the day-to-day management of the tenancy. No matter the type of service chosen, Bennett Jones recognises the importance of finding reliable tenants from our extensive list of applicants. Whether you are a first time landlord new to the lettings market or a charity or trust with a portfolio in need of management, we can help find the service that best suits you. We cover Dursley, Wotton, Berkeley and the surrounding areas. Contact us today and we would be delighted to come out and provide you with a free rental valuation of your property as well as answer any queries you have regarding current legislation or the letting process. 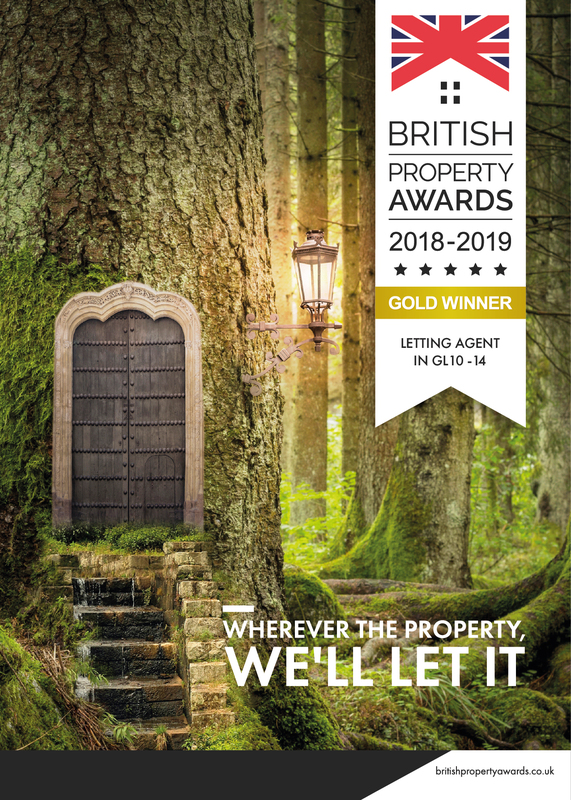 Bennett Jones are proud to be an ARLA Propertymark member agent and currently manage over 200 residential properties in the Gloucestershire and South Gloucestershire areas. Our landlords and tenants can have peace of mind that they are dealing with qualified professionals who adhere to high standards of professional conduct. We comply with the professional standards of the nationally recognised professional body for letting agents (ARLA). Why use an ARLA Letting Agent? Our staff members keep up to date with changes in legislation and follow best practice procedures as well as attending regular training courses to ensure that we can provide the best service to our landlords and tenants. All of our clients money is protected under the Propertymark Client Money Protection (CMP) scheme, certification of which can be found here. The first step to letting your property is to speak to one of our members of staff about the letting process. We can meet you at the property and give you an idea of the level of rent you are likely to achieve as well as advising on legal matters and answering any queries you may have about letting your property. We recognise that letting property can be a complex process which is why we are here to help guide you through from start to finish. We can discuss the types of service we can offer and find the option which is best for you: whether this is providing a fully managed service to take care of the day to day management or whether it is simply finding the most suitable tenant for your property. As a landlord there are a number of important checks which must be completed before a tenancy can begin. These include Gas Safety Certificates, Energy Performance Certificates (EPC) and Electrical Safety testing. We can help you arrange these checks through our local and reliable tradesmen and ensure that the property is ready to be rented out. Once you have made the decision to rent out your property and an asking rent has been agreed we can start advertising. The property would be marketed on various property websites including Rightmove as well as in the local newspaper. We also produce a regularly updated rental list displaying our available properties for prospective tenants to take away. We can also display a 'To Let' board at the property if this is your preference. One of our members of staff will accompany all prospective tenants on viewings at the property. This gives us the opportunity to get to know each individual, to establish their requirements and most importantly gauge whether they are a suitable fit for your property. Once an applicant has made the decision to proceed, we will contact you to discuss their circumstances and run through any initial queries or concerns. If the applicant is successful then they can secure the property by paying an administration fee whereby the property is withdrawn from the market and the referencing process begins. Should you wish to meet the prospective tenant we can also arrange this. We fully understand the importance of obtaining comprehensive references in order to determine the suitability of prospective tenants. As well as carrying out a credit check on each applicant, we also check employment status and any previous landlord references. Under the Right to Rent Act we also check all applicants' eligibility to rent in the UK including taking copies of photo ID and proof of residency. We will keep you updated throughout this process and discuss any queries that may arise. Once references have been approved, we undertake to prepare the tenancy agreements, setting out the terms of the contract between you and the tenant. One of the other most important documents forming part of the tenancy is the Schedule of Condition which records the condition of the property at the start of the tenancy. This serves to protect both landlords and tenants against any potential issues which may arise during or at the end of the tenancy. Should it be the case that you wish to make a claim against the tenant's deposit when they leave then this document serves as a valuable reference point. Not only does it include a written account of the property condition but also includes photographic evidence. Before handing over the keys on moving day we ensure that the first months' rent and deposit have been paid to us in cleared funds. Furthermore we ensure that all paperwork has been signed by the ingoing tenants and that all legal requirements have been complied with. We will contact service suppliers (gas, electric, water) and the local authority informing them of the new tenants' details and the tenancy start date. We will register the tenants' deposit with the appropriate deposit scheme and we will prepare a statement of account and forward on the balance once our fees have been deducted from the first months' rent. From this point onwards we will either continue dealing with the property for you as part of our managed service or we will put you in touch with the tenants if you are managing the property. We offer both a Fully Managed and Let Only Service and information regarding the fees for both services can be found here. Here are some properties we have recently listed. Marketing offices also at Wotton under Edge and Berkeley.